Although we may gasp at current political activities and commentaries, our 18th and 19th century early Americans dealt with many contentious issues as well! Discover how Parson Weems fabled cherry tree story caused political tension, and how the “Botts” part of the “Weems-Botts” house was the office of a lawyer involved in the scandalous treason trial of Aaron Burr! What’s that President Jefferson? You forgot the limits of your Presidential power in your ecstatic zeal to convict the man who killed Alexander Hamilton? Buckle up your awesome colonial boots, as we tour the property and gossip on the aspects of history you might not have read in textbooks! Lisa Timmerman is the Executive Site Manager of Historic Dumfries Virginia, Inc. & The Weems-Botts Museum. Her love for history has no bounds as she also teaches online community college courses for Tidewater Community College. She graduated with her BA in History from James Madison University in 2006 and her MA in History from the University of Richmond in 2007. 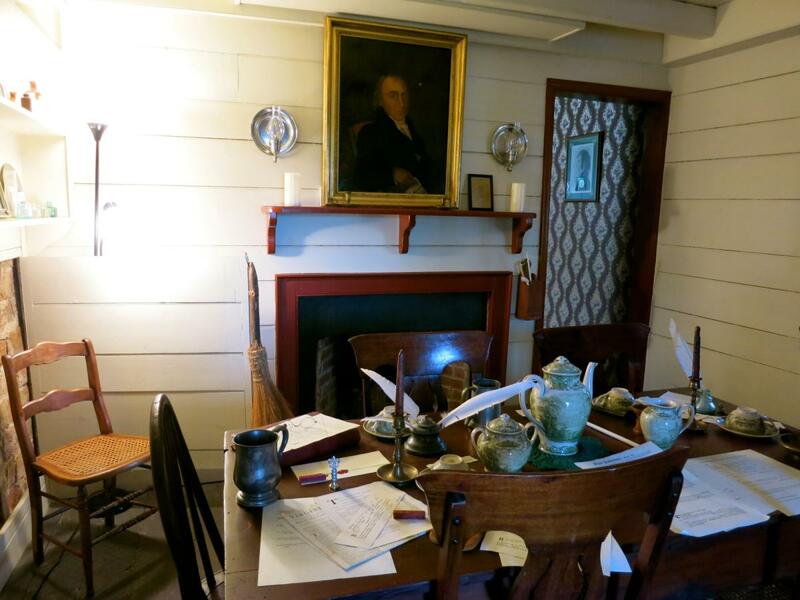 She immediately immersed herself in all things historical and has over ten years of working in various Virginia museums, whether leading tours, teaching programs, or conducting research to help furnish historic homes. When she is not giving tours or emphasizing Mason Locke Weems tendency to “exaggerate” about George Washington, you will probably find her hiding in the archives happily surrounded by primary sources. She lives with her husband and small but feisty betta fish in Stafford, Virginia.